Where has the month gone? 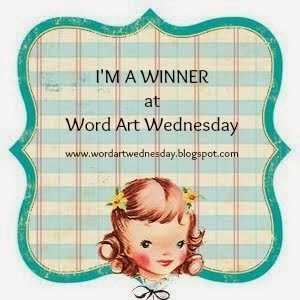 This is my last Tuesday as guest designer for the Timeless Tuesday Challenge. I've enjoyed working with these talented designers, and have certainly loved working with the Flourishes stamps and accessories. Thanks, ladies for the opportunity to work with you this month! Today's Timeless Tuesday Challenge Hostess is Ally, who has challenged us to case a Flourishes DT Member. I went into the gallery, and chose to case a card by Stacy Morgan (see below). I didn't have the same stamps or the dies that Stacy used, so I used the set 'Humming Along', and other dies, but I think my card turned out very similar. I love the little Hummingbirds in this set, and could hardly wait to ink them up! 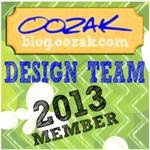 I hope that you will check out Stacy's blog - she has some beautiful creations to share! We would be delighted to see your card at the Timeless Tuesday Challenge this week! You can find full challenge details on the Timeless Tuesday Challenge Blog!!! Hi there, and Happy Monday! This fun image comes all in one piece - frame and all. It's colored with Copic Markers,and mounted on Amuse cardstock. Added a few 'nailheads' from my stash. finishing touch for a very quick and easy CAS card. Hope it gave you a giggle or two, as well. You get to choose one of the two new templates that we showcased this week!!! Please email Adela with your choise of templates: The Scallop Card Bag, or The Folder Organizer! Thanks for stopping by today, and have a beautiful day! Adela has done it again! Today, we are here to share the July New Releases for Creations by AR. We have two new releases today, the Folder Organizer for your embossing folders, and the Scallop Card and Bag set. Grab that cup of coffee, get settled in, and enjoy the hop! The Scallop Bag with binder clip. 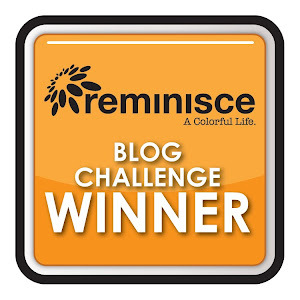 As always, each blog will have a winner! Be sure to comment at each stop! Winners will be announced on Saturday, so check back to see if you have won! Have a great day, and happy hopping!!! The Folder Organizer features a designer paper pad from Hobby Lobby - GCD Studios, Ella Blue. You can't tell from the photo, but the DP is a linen weave and feels like soft velvety fabric. The bling is Want2Scrap, from Flourishes. Ribbon from my stash. The Scallop Card and Bag set is made from Kraft Cardstock. The beautiful orange CS, is the Venetian Pattern from Aumse Studio. The white ribbon is Really Reasonable Ribbon, and the cute checked ribbon is from my friend Shirley - thank you, Shirley!!! Butterflies are Cheery Lynn Designs Dies. So here we are...another Wednesday! 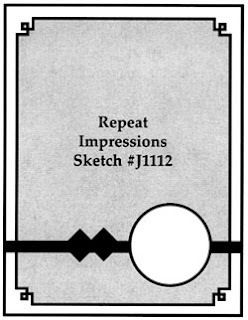 Time for a new What If Wednesday Sketch Challenge at Repeat Impressions. Repeat Impressions Series 9200 Image, Bazzill Basics CS, Copic Markers, Scrap of green zig zag trip, Kaiser Craft Pearls, wet and dry adhesive, dimensional squares. Rather than do pennants, I stamped the image a couple of extra times, and fussy cut three of the flowers. Some Kaiser Craft pearls finished off my border. I used one of the new images from the 9200 series, and colored it with Copic Markers. The 'corners' on all of my pieces were done with a small square punch, that I barely caught the edge of the CS with. The nice even mats were done, once again with my Perfect Layers Tools. The image is popped up on dimensional foam. I also split the butterfly wings, and popped one up a bit higher than the other for some dimension. We would love to see your take on this fun sketch! 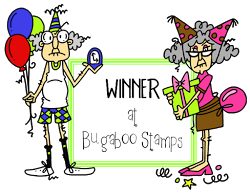 When you have your card finished, just head over to the RI blog, The House That Stamps Built, and link it up...you could be the lucky winner! Full details on the blog! Hi there...I have a creation that I'd like to share with you today. Today's project is for the Flourishes' Timeless Tuesday Challenge, which is, Christmas in July! Box of notes with transparent lid to the side. Last week, Beate Johns, had a tutorial and video at Splitcoaststampers, showing how to make this delightful box full of beautiful note cards. You can find Beate's tutorial and video here. (To see another version of this great little box, check out my talented friend, Lorie's blog!) I chose to make a gift set, of a Christmas Card, and this Note Holder Box. I hope you like it! I'm keeping this post as short as possible today, but let me know if you have any questions! I will post supplies used at the bottom. Welcome to Flourishes’ Christmas in July sale! Each year around this time, Flourishes kicks off a festive sale that is sure to warm your hearts and get you in the spirit, long before the snow starts to fly! Between now and the 31st of July, all of their Christmas sets will be a whopping 25% off! Just click HERE to see all the fun sets that are on sale! They just got a NEW shipment of stamps to stock up so the Flourishes warehouse is stacked to the brim with Christmas goodies! There are no codes -- all stamp sets are automatically marked down for you! Don't forget to stop by the amazing Timeless Tuesday's Design Team Blogs. I'm sure they have some Christmas inspiration there for you! Hope to see your Christmas creation in the Timeless Tuesday Challenge this week! Welcome to another Repeat Impressions' Stamp of the Week Monday! Today's post features "Under the Sea" (2423-W). Sigh...no matter how hard I tried, I could not capture the pretty colors in this card. The image was colored with Copic Markers, and then a few Frosted Lace Stickles were dotted on the 'bubbles', and a few extra bubbles added. Using an oval Spellbinder, I cut a frame for the image on the card front. I then used the outside of the Spellbinder, and drew an oval onto the card front panel. I cut it out with my scissors, and adhered it to the front of the card using dimensional squares. Added some bling, and voila - pretty quick card! This stamp can be yours this week for 50% off, IF you are a RI reader! Check out the RI blog, The House That Stamps Built for all of the details! 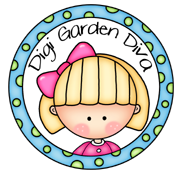 Be sure to stop by and see what my fellow Rockstars have created using this fun image! I'll be back tomorrow with another Timeless Tuesday Creation! Hugs and smiles galore - Patti J. Thought I'd share something pretty today. I was invited over to play in my friend Shirley's amazing 'girl-cave' on Tuesday. We created, laughed, ate, and created some more! What fun :) Shirley is an Amuse demonstrator, so we crafted with her new Amuse stamps and inks. I needed a birthday card for a friend. We centered a small panel onto the main panel, adhereing with removable adhesive. First the light color, then the darker color, were sponged directly onto the stamp, using small finger daubers. We stamped the flowers, then the sentiment, lifted the small panel off, and permanently adhered it to the darker mat, then adhered the panel to the card. I used a few pearls and some Martha Stewart punched butterflies to embellish my card. Hope you give this a try - you could add as many panels and as many images as you like! 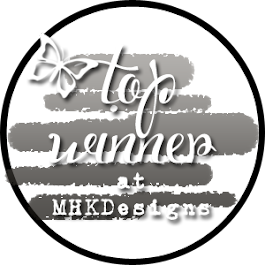 It's a new Designer's Choice Challenge today, at Repeat Impressions! Today's challenge, from Makiko, is to use an outdoor/wildlife theme. I chose to use the Racoon and some wild violets. The main image, Racoon (#4219-J), was stamped in the middle of the panel, and stamped again on a post-it note, which I cut out, creating a mask. I applied the masked racoon directly over the stamped image, and stamped Wild Violets (#1706-I) on the left and right of the racoon. I removed the mask and colored the scene with Copic Markers. The sky and grass were created by stippling on blue and green distress inks. The card base is 6 x 6 Bazzill Basics, topped with a 5.75 x 5.75 piece of Simple Stories DP. Two trees were cut from green scraps using my Marianne Tree Die, and adhered to the DP. and adhered with dimensional foam. Twine is from Really Reasonable Ribbon. All of my wonderfully straight borders were cut using a craft knife and my Perfect Layers Tools. You can use any rotary cutter or craft knife with Perfect Layers Tools, and you can watch a video tutorial on their website! 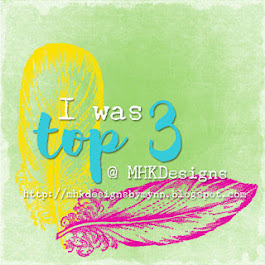 Hope you'll stop by my fellow Rockstar's blogs to see what they have created using Makiko's challenge! Full challenge details can be found on the RI blog, The House That Stamps Built. Welcome to another Timeless Tuesday Challenge! Today's hostess, Mona, has challenged us to create a Christmas in July project. This card needed to be very quick and easy, and only having two Christmas sets, I was able to make up my mind very quickly which stamps to use. The card was folded, and the Kaiser Craft Bonjour DP adhered to card front. The Alleluia Angel and sentiment were stamped using Memento Rich Cocoa Dye Ink, on Flourishes Classic White Cardstock. Next, I added some Gelly Roll Starburst Pen to the wings, stars, and a bit here and there for some sparkle. I embossed the focal image with the Spellbinder's Romantic Rectangle Die, and trimmed around the embossing mark to fit in the brown frame that I cut with the same die. The finished panel was adhered using dimensional foam. A bit of Want2Scrap Bling, some May Arts Iridescent ribbon, Ivory Jute Twine, and a button were added. Edited: Ooop! Somehow, I didn't realize that the challenge had been changed. Still hope to see your creation in the challenge this week, but the challenge is "Savor Summer". Use your favorite summer stamps to create a recipe card! The Design Team has some gorgeous projects for your inspiration! Hope to see your card in the Timeless Tuesday #178 Challenge, 'Savor Summer'! Hello, and happy Friday! The weekend is upon us - woot woot! We are looking forward to a night out with friends tonight. So, today, I'm sharing one of those 'just for fun' cards. I've been pushed with many necessary deadlines lately, and wanted to make something just for the pure fun of it. Now, I bet that you just had to smile! This is a Bugaboo Digi Image, colored with Copics, with a little bling, and some DP embellies from my scrap pile. Her glasses have a tad bit of Glossy Accents for some shine, and the flags and focal image are lifted up with dimensional foam. My Perfect Layers Tools were used for the nice even mats! What a quick and easy card! I think I'll enter it into the Bugaboo July "Anything Goes" Challenge! Have a great weekend - keep smiling! Wow - I've posted three days in a row! Don't be expecting this on a regular basis...lol!!! 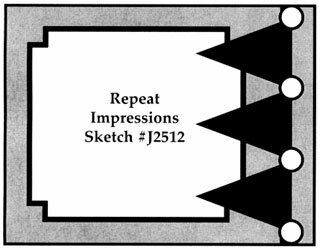 It's time for another What If Wednesday Sketch Challenge at the Repeat Impressions Blog, The House That Stamps Built! This month is truly kicking my behind, so I decided to do another CAS card. The image was stamped, colored with Copic Markers, cut with an oval Spellbinder die, and matted on a scalloped red oval, also cut with a Spellbinder die. The card is white CS, folded in half with a black and white dotted (yep, those dots again) piece of Amuse CS as the background. The dotted piece was punched with a Stampin' Up! ticket punch. The red gingham ribbon from my stash, was tied around the background panel and the panel was adhered to the card. The Watermelon was then added with dimensional foam, and some Glossy Accents were applied for that juicy watermelon look. 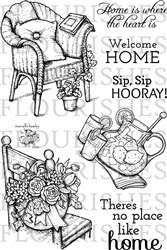 Hope your week is going well, and I'd love to see YOUR card in our sketch challenge at The House That Stamps Built this week! The challenge details can be found there, as well. Welcome to the Timeless Tuesday #177 Challenge! Our Hostess is the talented Denise, and her challenge, is all about sentiments! Denise is challenging us to make a card with a sentiment as focal point. I checked out all of my sentiments, and they all seem to be short and sweet, so I chose one that would work on a card for my Chemo Card Angel lady. I send something her way each week, and this seemed the perfect greeting. This card began with a piece of Flourishes Classic White CS which was sponged on the outside edges with some Tim Holtz Antique Linen Distress Ink. The next layer is a piece of DP from the Prima Songbird Collection. It was wrapped with a piece of Satin Finish Cotton Latte Ribbon, and then a piece of Laural Venise Lace. Some Want2Scrap bling, finished of the panel. A Spellbinder Fancy Tag was cut and distressed. The sentiment, from the Summer Blossoms stamp set, was stamped, trimmed to fit on the tag, distressed, and adhered, complete with two tiny pearls from the bling on the background panel. The focal panel was then adhered to the card using dimensional foam. This is one of those cards that I wish you could all see in real life. It's so much prettier than it looks on this little screen of mine! Thank you for stopping by! We hope to see your beautiful 'Sentimental' creation in our challenge this week! Have a good week - Patti J. It's Monday, and that means a Stamp of the Week is featured at Repeat Impressions. This week, the SOTW is Dragonfly Deco. What a great image. Perfect for any occasion from thinking of you to sympathy. I stamped the image three times with Versamark Ink, and heat embossed using Sweet Stamps Medieval Metals. The coloring was done with a TomBow blending pen and Tim Holtz Distress Inks. Sponging was also done with distress inks. Sentiment is adhered with dimensional foam. Please visit my fellow Rockstars to see what they've done with this fun image! And don't forget - for Repeat Impressions Readers, you can get this stamp for 50% off this week! Details are on the RI blog, The House That Stamps Built! *You can use any rotary cutter or craft knife with the Perfect Layers Tools! Check out the video on the Perfect Papercrafting website for a video tutorial! So...does anyone else out there keep thinking that today is Monday? Sheesh! I am a creature of HABIT, and when DH is home on a Wednesday, it scrambles my brain. Hope that your holiday was enjoyable. Ours was very quiet! I'm on my way to get a much needed haircut, but wanted to share this card with you first. Yup, it's those dots again. Can't help myself - I love them! This card was actually created for a challenge at Stamp TV, but I missed it....card was done several days in advance, but didn't get posted. The challenge was to use my favorite GKD rose. When I went through my stamps, I only had ONE stamp with a rose on it, so voila! No decisions here - just used what I had! This card will go to someone I know that is battling cancer, and has surgery on July 9th. I wish you all a Happy 4th! away from our beloved United States. I immediately thought of these darling frogs! Repeat Impressions 7120-W Underpants Frogs, 7007-W May the Light..., Tuxedo Black Memento Ink, Ribbon from my stash, Baker's Twine from Really Reasonable Ribbon, Copic Markers, Colorbok Cardstock, Spellbinders Dies. Flourishes Timeless Tuesday Challenge for the month of July! What an honor to get to work with these very talented ladies - this has been a delightful secret to keep! Today's Timeless Tuesday Challenge hostess is the amazing Makiko, who has chosen "All About Summer" as her theme for this week. Makiko has challenged us to make a card or project with a summer theme. "On the Porch" was immediately my choice for this challenge. It's one of my favorite Flourishes sets, and certainly make me think of summer. A CAS easel card seemed the perfect fit for this wonderful image! The image and sentiment were stamped with Memento Tuxedo Black Dye Ink, on Flourishes Classic White Cardstock. The image was colored with Copic Markers: Y08, Y11, YG61, YG63, G21, C00, C1. 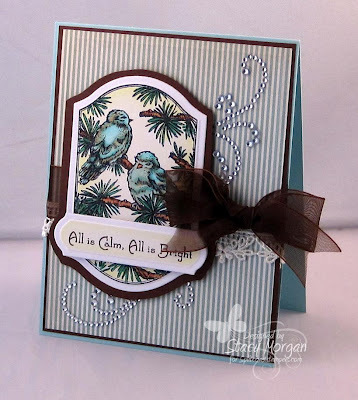 Prima's beautiful "Songbird Collection" 6 x 6 Paper Pack, and black cardstock scraps were used to mat panels. A bit of Gelly Roll Stardust Pen was used to give the ice cubes some sparkle, some gloss was used to give the image a shiny, realistic look, and some Want 2 Scrap Bling was added as a perfect finishing touch. The image was stamped a second time, and the lemons were colored and fussy cut, to use as a brace for the front panel. The lemons and the focal panel were given some dimension with foam squares. Take a look at what the fabulous Timeless Tuesday Designers have created for you today! I hope we see your card posted in this week's Timeless Tuesday Challenge! Perfect Layers Tools were used for perfect matting! website for a video tutorial!